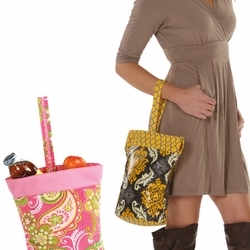 The Savoy lunch tote is the perfect alternative to brown bagging it! 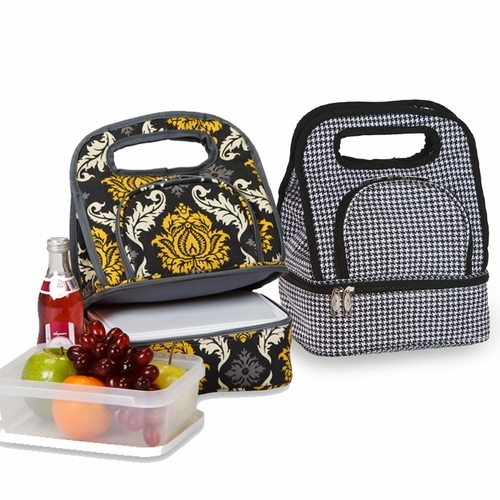 This stylish insulated lunch tote features two compartments and includes one food storage container for your sandwiches or leftovers. 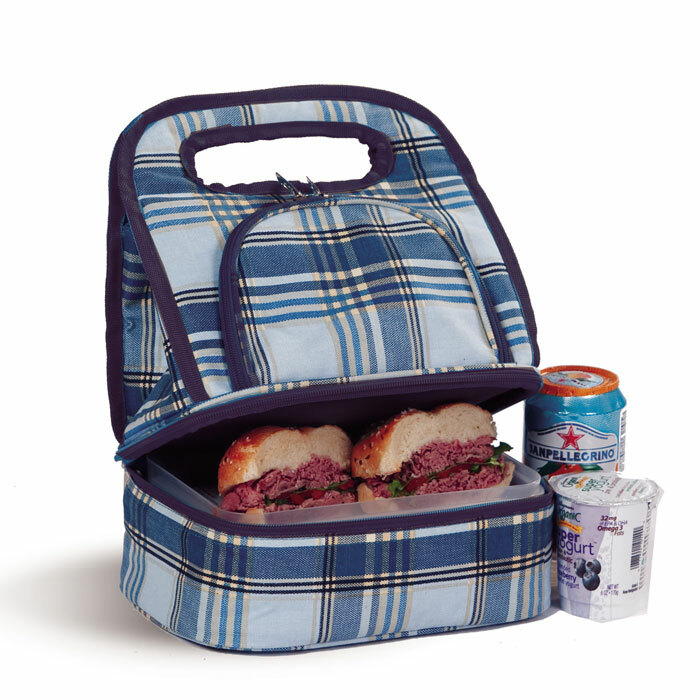 The lower zippered compartment is fully insulated with a leak proof liner to keep your food fresh for hours. 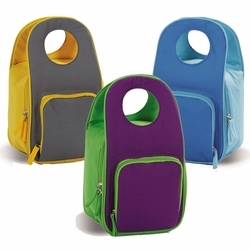 The top zippered compartment is fully lined, padded, lead free and vinyl free. 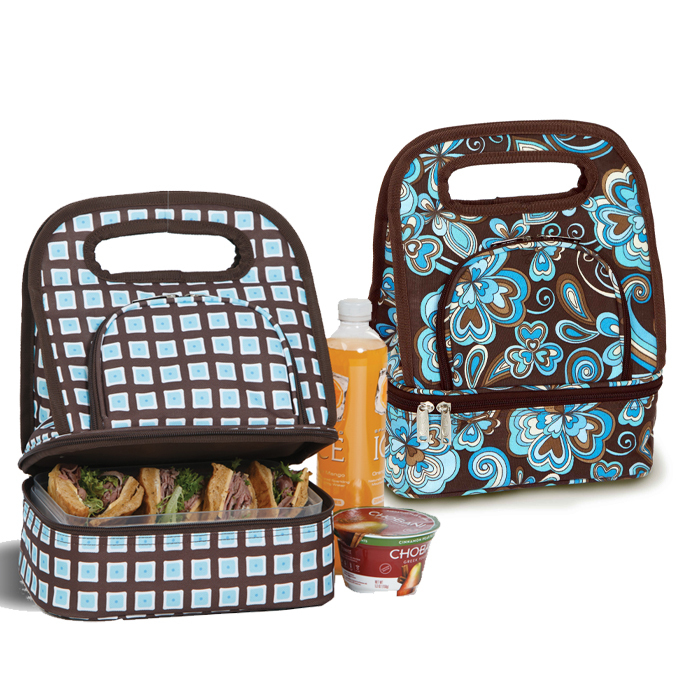 With a 3 can capacity, it will easily accommodate any fruit or snacks and the comfortable carrying handles are perfect for lunch on the go. 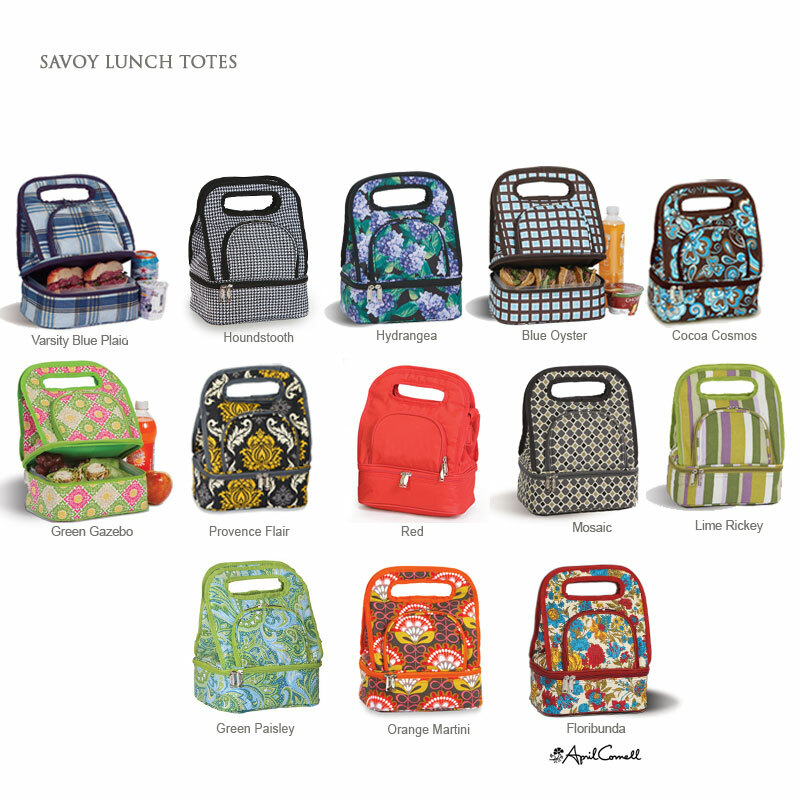 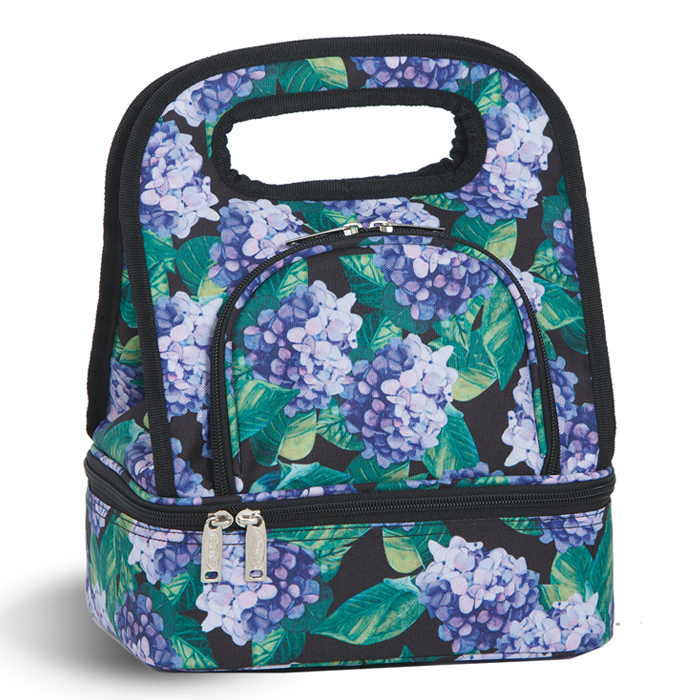 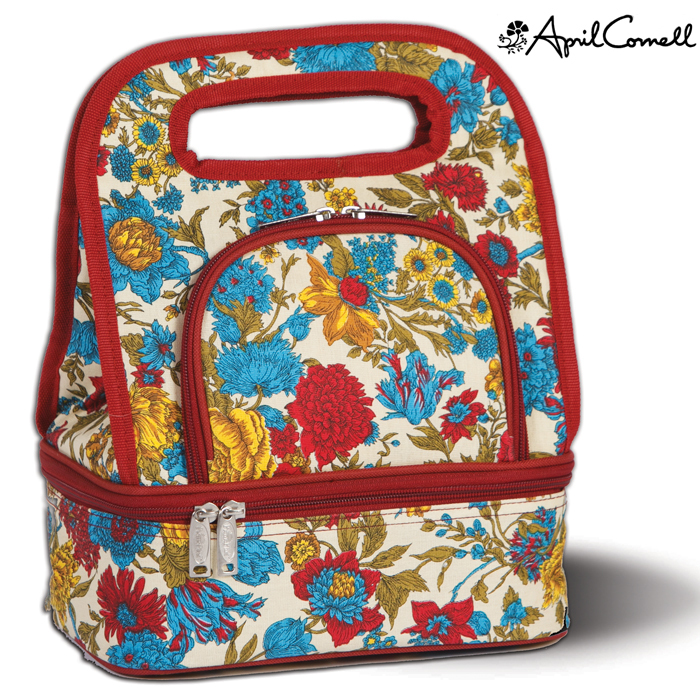 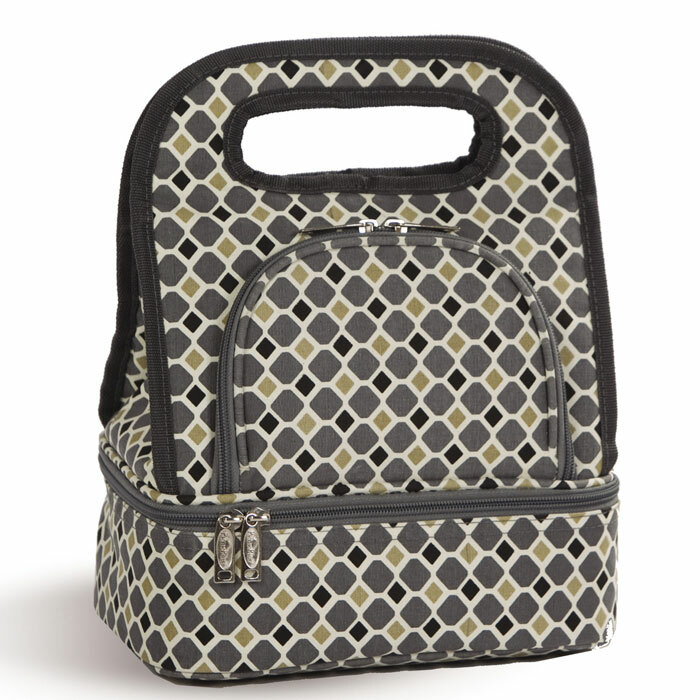 The Savoy insulated lunch bag is available in several stylish designs including prints and solids. 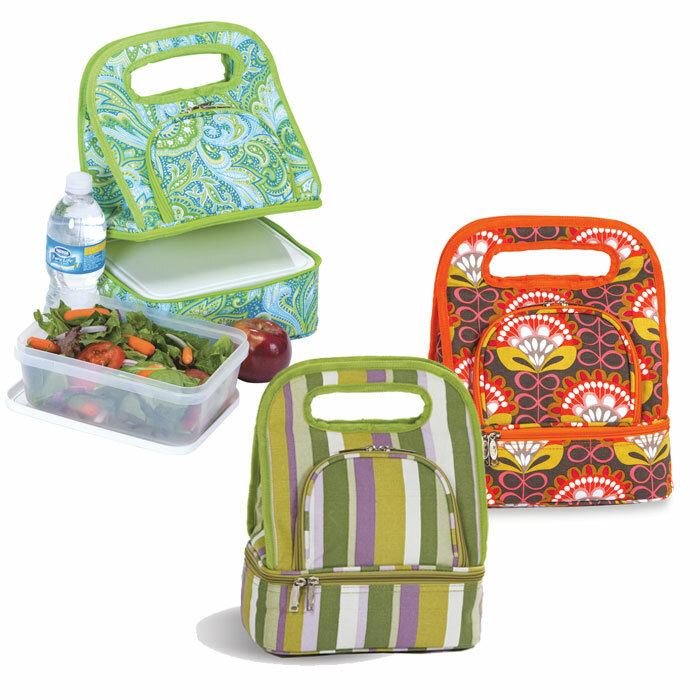 You can personalize your lunch tote with a name, monogram or initial. 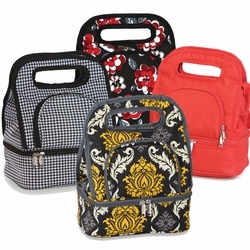 The Savoy makes a great gift and is fantastic for work or school. 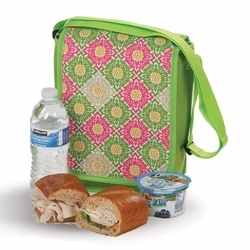 Please type in the thread color you would like for your embroidery. 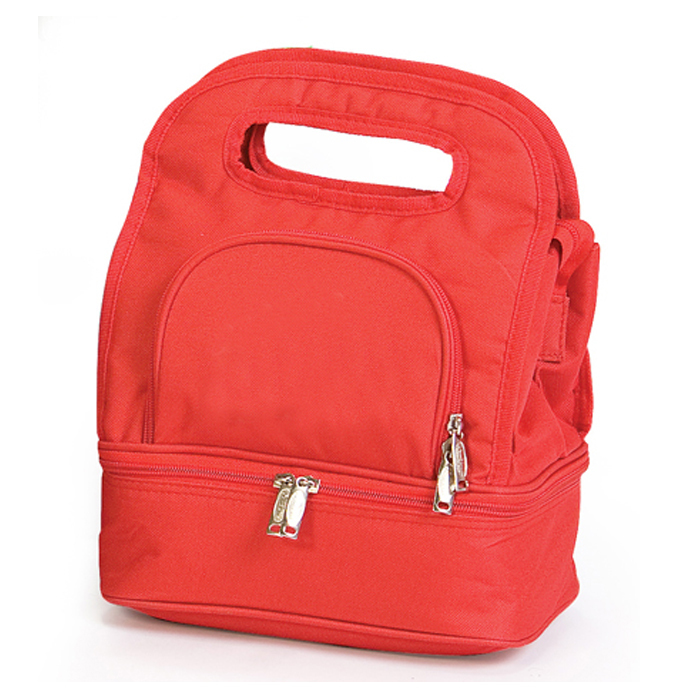 If no thread color is given, WHITE is our default thread color that will be used.